Wheelchairs, crutches, no arms, limping bodies, eyes not seeing, distortions, hidden prosthetics, and steady smiling faces that showed light, determination, and an aching to live to the utmost. 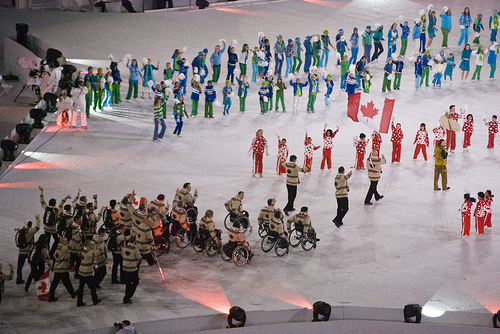 That’s what I saw when the Paralympic Athletes, yes with a capital A, paraded before the Vancouver audience at the Opening Ceremonies. I wasn’t there, but instead was glued to my TV noticing that this sport event might affect me more than I anticipated, differently to the previous Olympics. The Paralympics touch a chord. A personal chord. First of all, I have a father who’s in a wheelchair. I have seen him over the years go from walking solo to canes, to finally a wheelchair. Concurrently, I have also seen him pursue his art with a fierce determination. I have watched how both my mother and father never gave up as a team. Then 7 years ago, I had a back operation. Unfortunately, I had over-endured much pain and by the time I got to the operating table, my right leg was not functioning properly. I couldn’t walk afterwards. To recuperate, I did constant physiotherapy to get me from a wheelchair, walker, crutches, cane, to finally a foot brace. The foot brace is still in my life as I have nerve damage leaving me with “drop foot” but I don’t let that stop me! In fact, because of watching so much of the Olympics and Paralympics, I felt a stirring and decided it was time to see if I could still skate. It had been over 20 years. 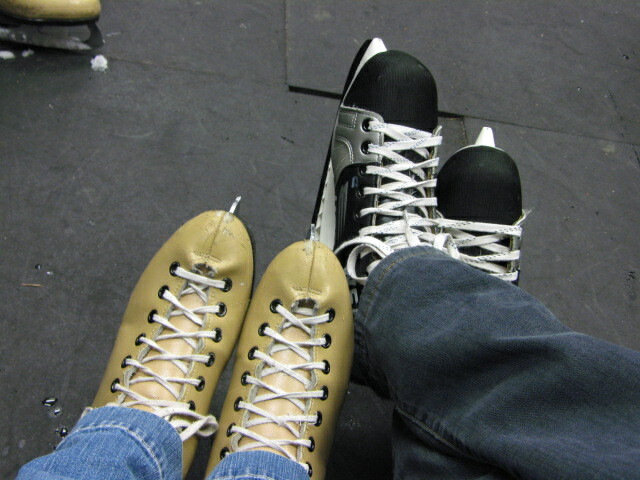 I used to figure skate when I was a kid, and loved it. And, in my adult life skating showed up in repetitive dreams in which I skated to perfection! Off to a small community rink in Vancouver we went and I found myself going through motions that seemed extremely foreign, yet, very familiar. However, the motions on the ice were instantly UNfamiliar! “This is slippery!! How do people do this!?”. 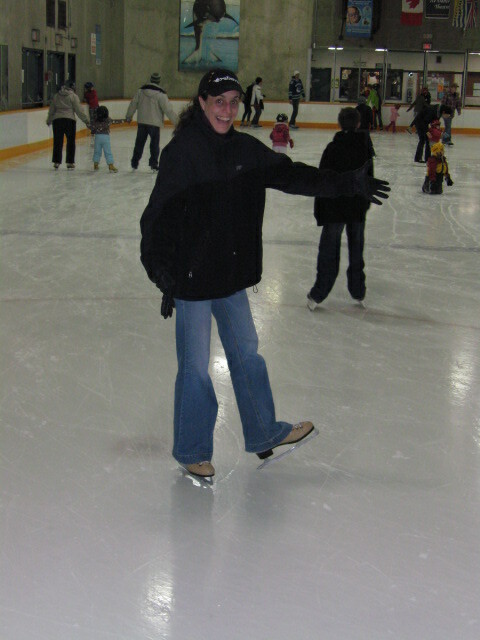 Determined to stick it out, I grabbed onto the side and didn’t let go for about 2 rounds of the rink. By the 3rd round, I eased off my clutching. Then, I started sensing another stirring. My body seemed to be taking my head hostage and movements from my skating past were returning. Before I knew it, my body was gliding with some power, and suddenly, it whipped around, putting me face to face with my partner who was behind me. “You’re skating BACKWARDS!” “I know! !” Gulp…. I may not be an Olympic or a Paralympic athlete, but in my own little world, I feel I have conquered something important. And, I want to do it again. Thank you to all of you, especially the Paralympians, for inspiring me, and many others.. I really enjoyed the Paralympics Opening Ceremony. I loved seeing the people from all over the world being welcomed to Canada by 60,000 people. There were teams from Iran, Mongolia and China. I was so happy to be there to welcome them. And yay to you for skating. I can’t remember the last time I went!